Fished the Canyon Park beachfront shoreline on Jacob’s Creek (#1 on map ) this morning with my friend Jacob DePriest from New Braunfels. 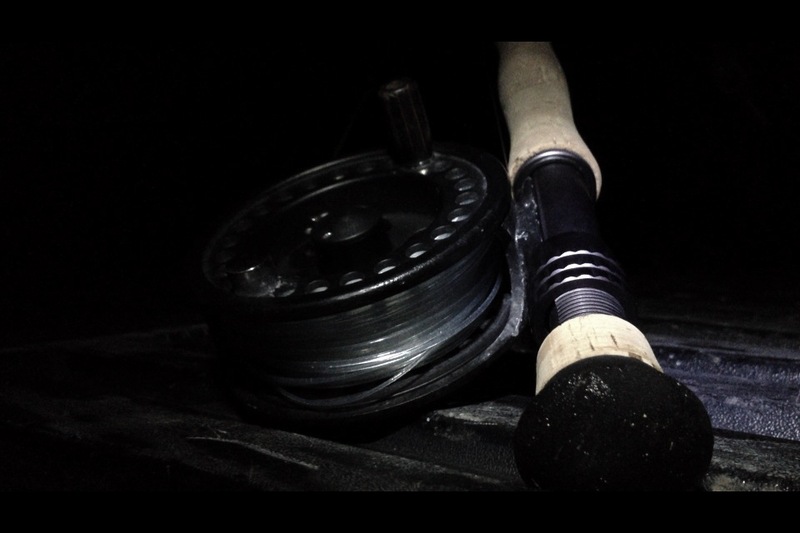 We were rigged up and ready to go before sun-up, and in the predawn darkness could hear fish slurping and splashing near the water’s edge. We began a wade down the shoreline in front of the Canyon Park swim beach at first light. 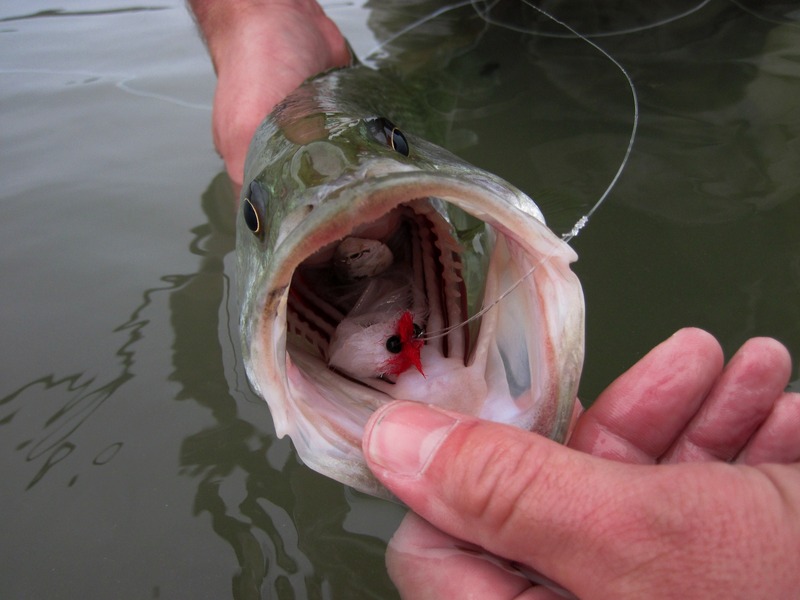 I was throwing a large white silicone Deadhead Minnow. On my first cast I hooked a striper in about 5 feet of water. 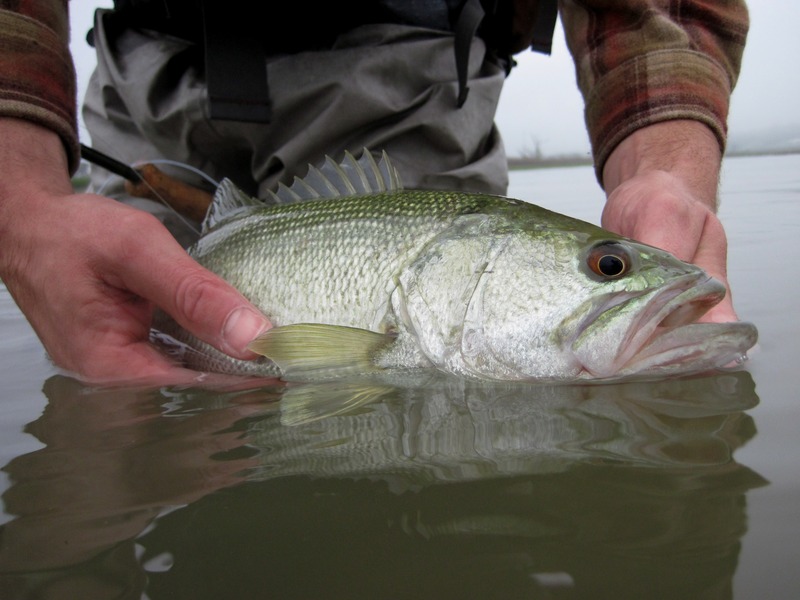 He was healthy and fat, and clearly had been feeding on threadfin shad. In the hour that followed, shad began to pile up along the shoreline and several gulls hovered overhead anticipating the action to come. 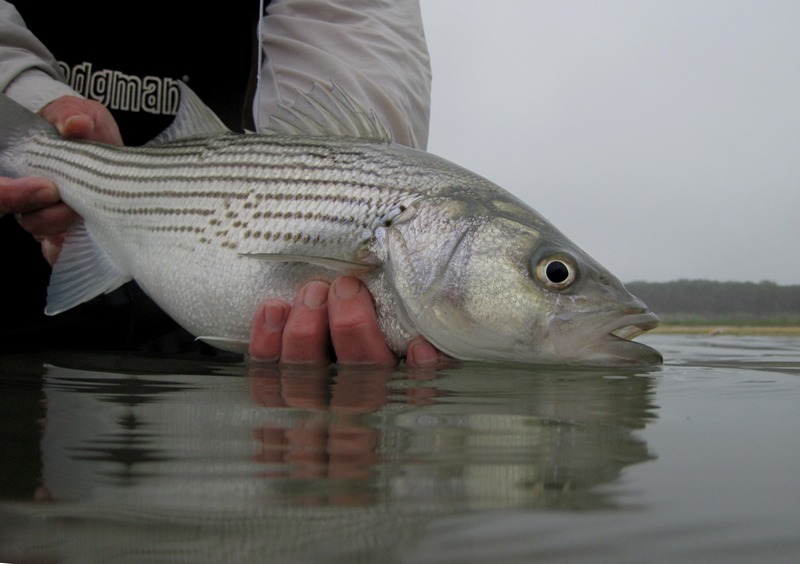 Schools of stripers and white bass began to run down the shoreline, some of them feeding right at the beach edge in only a few inches of water. 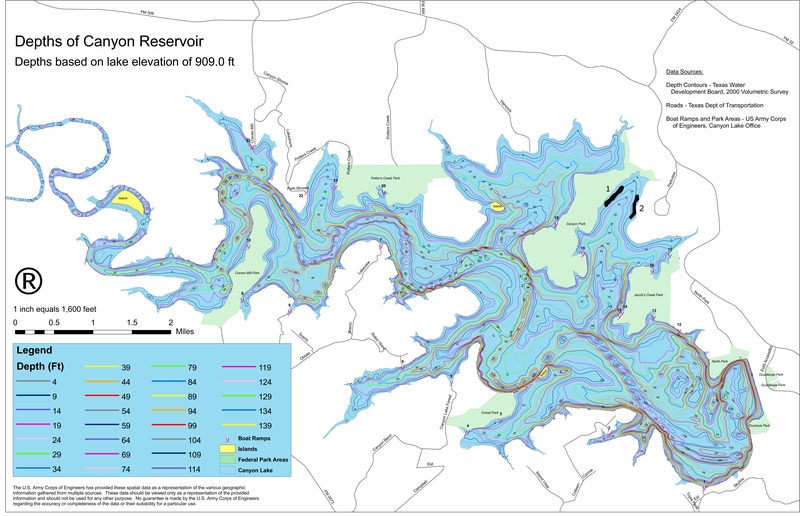 Mid-morning, surface blitzes began appearing on the opposite shoreline across Jacob’s Creek cove (#2 on map). Gulls hovered and dove over the distant splashes. Back on our side, Jacob DePriest managed to catch several largemouth mixed in with the stripers and white bass. 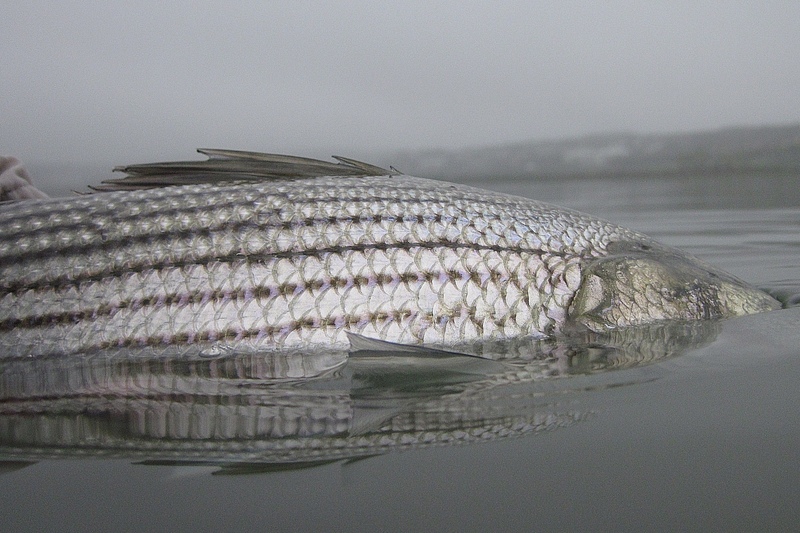 Although we didn’t catch any big stripers today, the fish were fat and healthy. 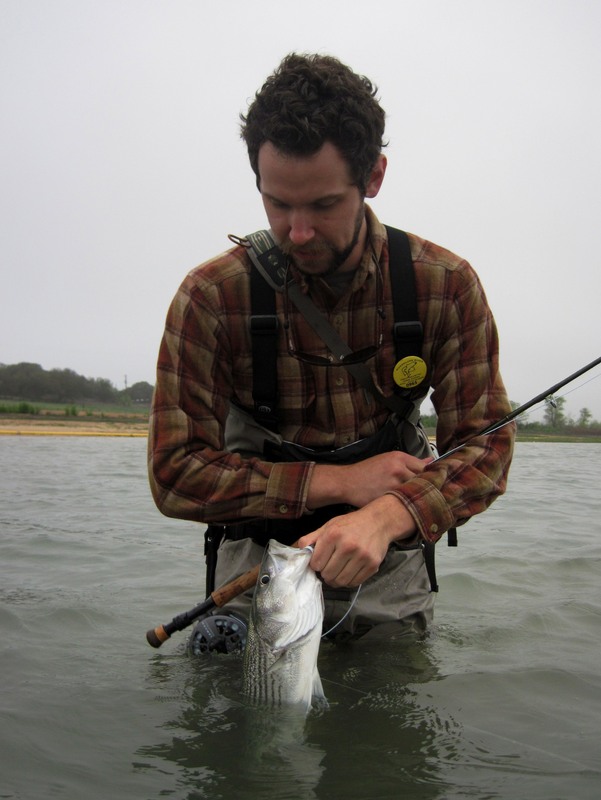 We had plenty of action and it was a real pleasure to catch them with fly tackle while wading in clean shallow water. 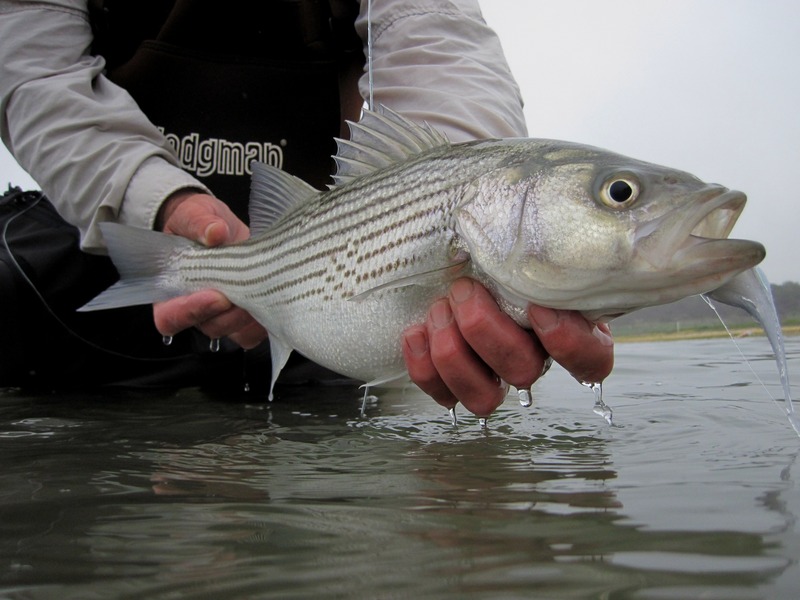 Finding stripers in 1-2 ft. of water is uncommon at Canyon Lake, because its shorelines are primarily steep and rocky and the fish are deep. The combination of wind, water temp, daylight length, and availability of baitfish made the Jacob’s Creek shoreline the right place to be this morning. Yes, I will post those up. Essentially the same, but spread 2 coats silicone instead of fabric paint. 3D eyes replaced with flat stick-on eyes. Hook is a wicked 2/0 Gamakatsu Finnese.